A big congratulations to Monique! She recently completed a business traineeship in WPC Group’s Brisbane office after completing the Shake A Leg Indigenous Employment Program. 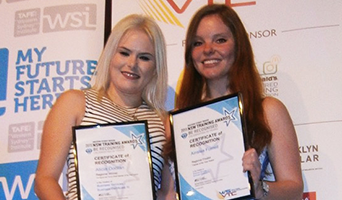 Monique has shown true initiative throughout her traineeship; we could not be prouder! Get regular updates and job alerts on the WPC Group Facebook Page here!